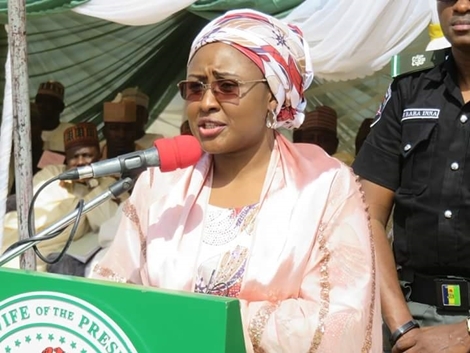 Wife of President of Nigeria, Aisha Muhammadu Buhari has reacted to Minister of Finance's decision to join the ruling party, the All Progressives Congress. Aisha Buhari, wife of President Muhammadu Buhari, has taken to her Twitter page on Monday to welcome the Minister of Finance, Mrs. Kemi Adeosun, to the All Progressives Congress (APC). 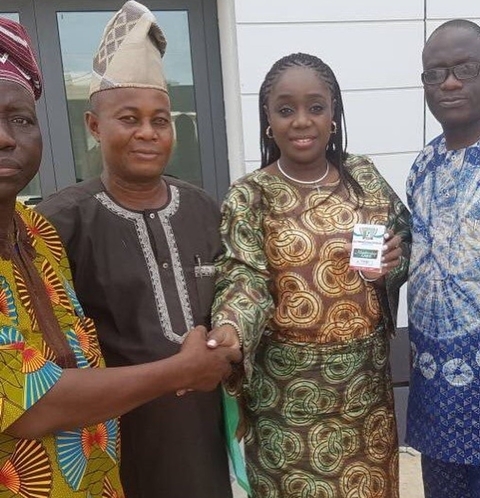 It was gathered that Mrs Kemi Adeosun, had on Saturday, picked up her membership card of the ruling All Progressives Congress (APC) in Abeokuta, the Ogun State capital. Adeosun, after her registration, had posed with the National Financial Secretary of the APC, Alhaji Tajudeen Bello. In a reaction to the politicial move, the wife of the president congratulated the Minister for joining the party. As at the time of filing this report, it is still unclear if the minister is planning to run for an elective position in 2019.